I was so excited to once again be able to do one of Grace Stevens‘ Johannesburg workshops in July. Grace presented a number of workshops with the theme, Whimsical Wedding. 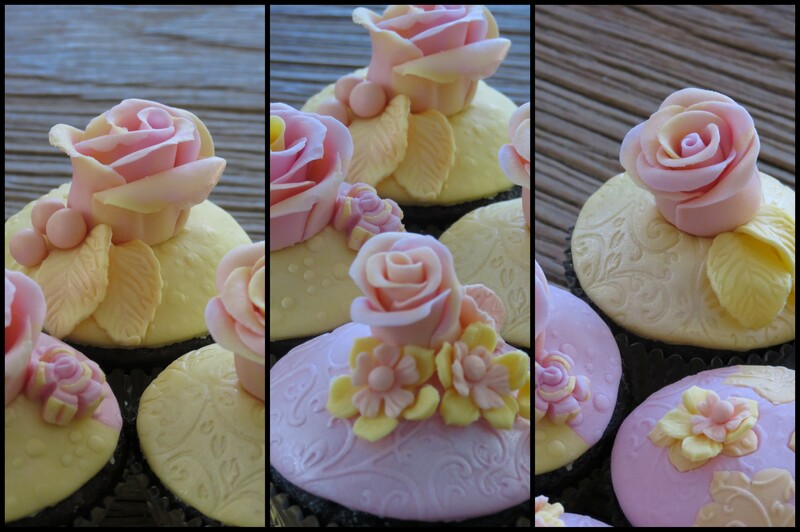 As I have never done fondant covered cupcakes, I was really keen to do the Whimsical Wedding Cupcakes. 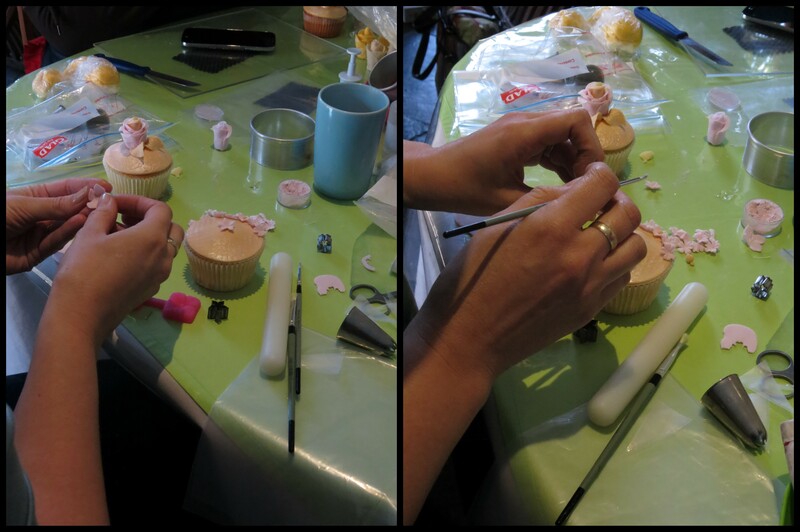 You can see Grace’s deft hands in motion in the photos above as she showed us how to not only cover a cupcake in fondant but how to emboss the fondant and then decorate the cupcakes with pretty roses, flowers and pearls. 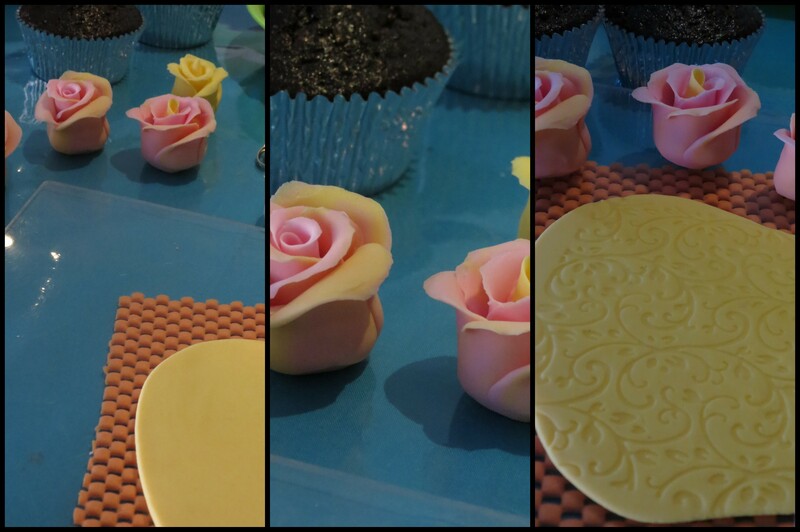 Below I have shown my roses in the making in shades of pastel rose and yellow and my embossed sugar paste ready for my cupcakes. Grace’s attention to detail in her workshops in how she creates her decorations and how she teaches made this a fantastic workshop and I am now loving working with this new technique of decorating cupcakes. 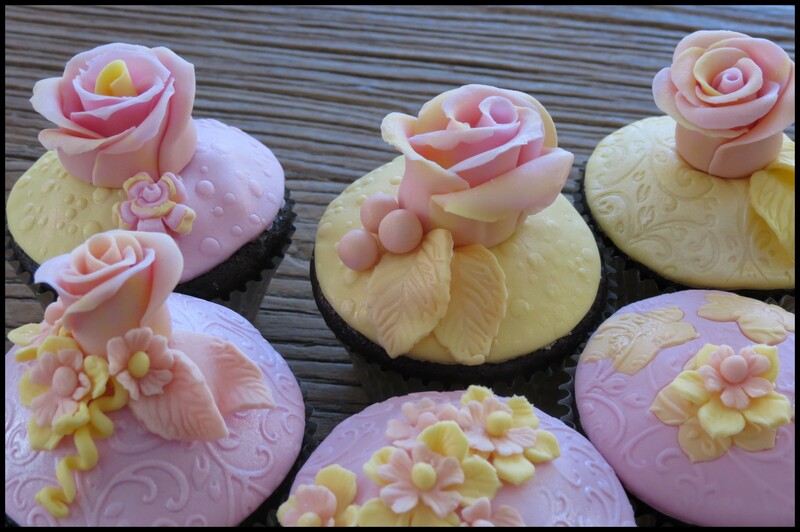 I chose a number of different embossing plates to complete my cupcakes and I was delighted with the light fresh colour combinations for the roses and pearls. Thank you again Grace for sharing your knowledge with us in such a fun environment, I can’t wait until your next trip to Johannesburg! Thank you so much Hester!